Kettlebell training and Jiu Jitsu have a long history together in North America. Check out these basic kettlebell exercises that will improve your strength and cardio for BJJ. Steve Maxwell, who opened one of the first BJJ schools on the East Coast, also had one of the first kettlebell training schools in the same building. His studio Maxercise in Philadelphia became famous among grapplers for Steve’s ability to improve anyone’s strength, power and fitness on the mats. While Steve used a variety of tools at his gym he also relied heavily on the kettlebell because of it’s ability to target the fitness and movement needs of the Jiu Jitsu athlete. Steve even went on to influence the early RKC with his grappling roots, showing the Turkish Get Up to Pavel Tsatsouline who liked this old school wrestling exercise so much he adopted it as one of the main exercises in his training system. Since then Kettlebell Training has gone on to become widely known as one of the best ways to improve your BJJ specific strength, power and cardio. It is used the world over as a fantastic way to build grip strength, hip power and overall endurance while also letting you practice some great Jiu Jitsu specific movements. And just like with Jiu Jitsu, one of the secrets to Kettlebell Training is to focus on the basics. It is easy to get distracted by all the cool, fancy moves you see online or to think you are too advanced for the basic movements. But when you do this you run the risk of having a weak foundation to build the rest of your strength and fitness on top of. By making sure you have the basics covered before adding in more exercises you’ll ensure you get the best transfer from your workouts to your rolling. As a strength coach who has worked with kettlebell training since 2004, I’ve always been impressed with how the basic kettlebell exercises translated over to so many sports. I’ve helped a lot of different athletes in sports ranging from mountain biking to golfing improve their performance using these exercises. This exercise has a long history as an exercise for grapplers and for good reason. It improves your ability to sit up using good leverage, which helps a lot when you need to create space on the bottom. Getting strong with this exercise will also helps improve your Sit Up Sweep, your ability to stand up in someone’s guard and your general posture, making it a truly BJJ specific exercise. 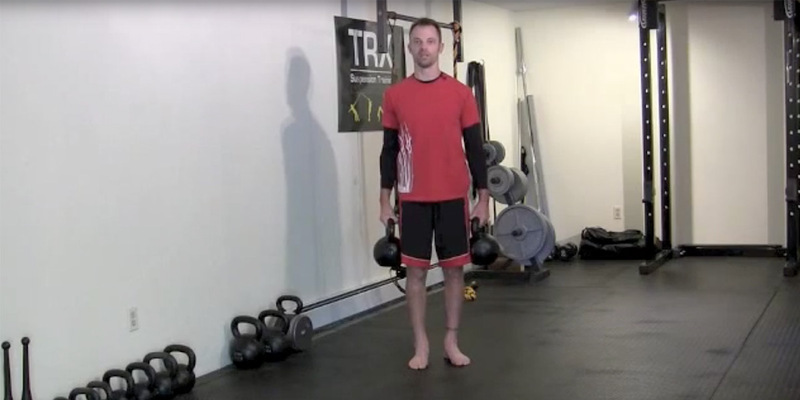 This exercise improves your ability to squat down to kill hooks or get your base to avoid sweeps. If you can’t squat properly then you will tend to lean over as you do these things, which opens you up to having your posture broken. Having a strong squat will also improve your general leg strength and ability to “squeeze” with your legs. Called the King of Kettlebell Exercises, this movements improves your hip strength and power, your grip strength and your overall endurance. It can also help improve your ability to breathe properly and learn how to relax when you can and be strong when you need to be. 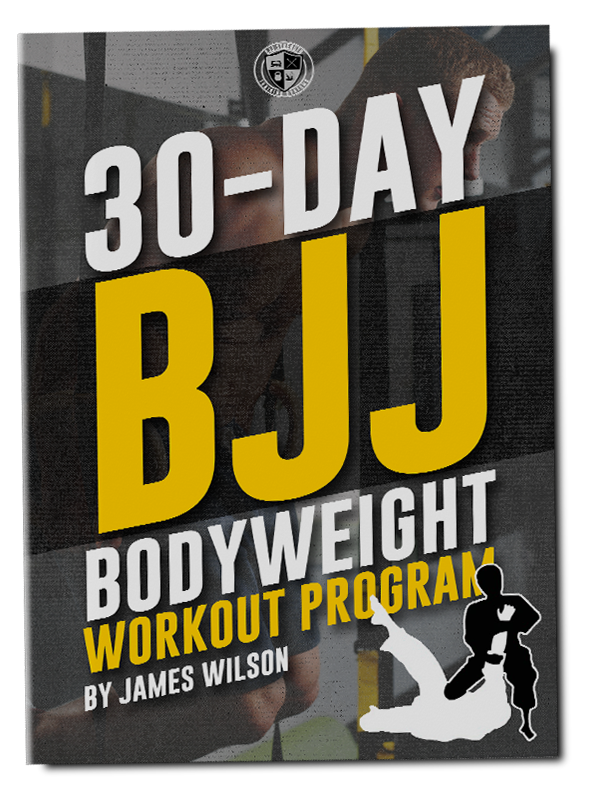 Overall, this is one of the best exercises you can use to improve your BJJ strength and fitness. 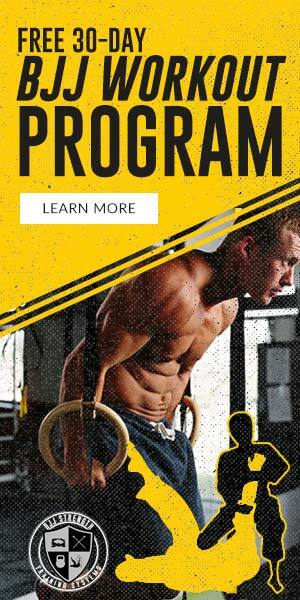 Here is an example of a 3-day program you could do using just these exercises and a single kettlebell. 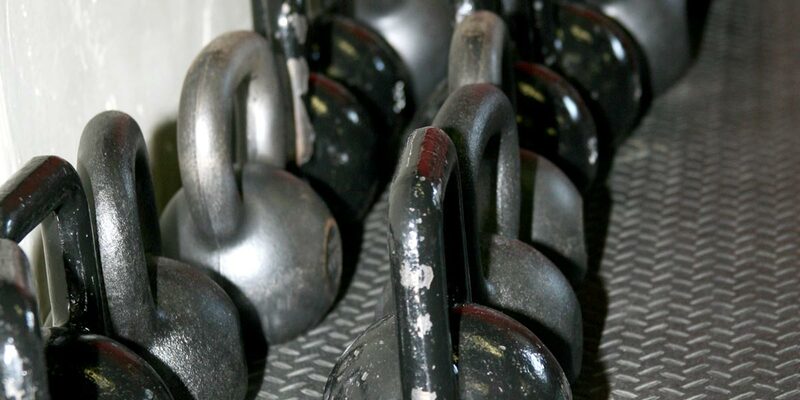 Kettlebell training doesn’t have to be a long, complicated process. If you’re new to kettlebell training for BJJ this is a great way to get started. I suggest using a 12-16 kg kettlebell for guys and a 8-12 kg kettlebell for the ladies. You want to pick a weight that allows you to really focus on how you are moving – as a Jiu Jitero you care more about how you move during your workouts than how much you lift or how many reps you do. Do all the sets for an exercise before moving on to the next one. You can also change the days you do the workouts, the important thing is to get at least 2 workouts in each week along with your usual BJJ practice. 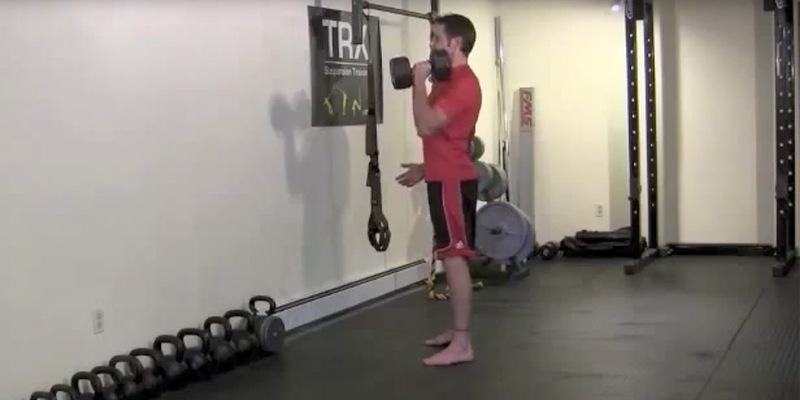 I strongly suggest using a good warm up before your kettlebell training workouts as well. If you need some help finding one you can check out this 5 Minute Warm Up Drill for BJJ I posted a while back. Taking the time to get things moving better before training is a good way to both prevent injuries and help you move better when training, which will ultimately help you move better on the mats as well. Commit to four weeks of kettlebell training and see how it improves your BJJ game. While nothing can replace time on the mats, a heavy dose of these kettlebell exercises can certainly help speed up your overall progress when added to your regular BJJ training.